Landing an internship can be as difficult as landing a job. But if you’re in the market for one this summer, there are a few ways to make the process less painful. 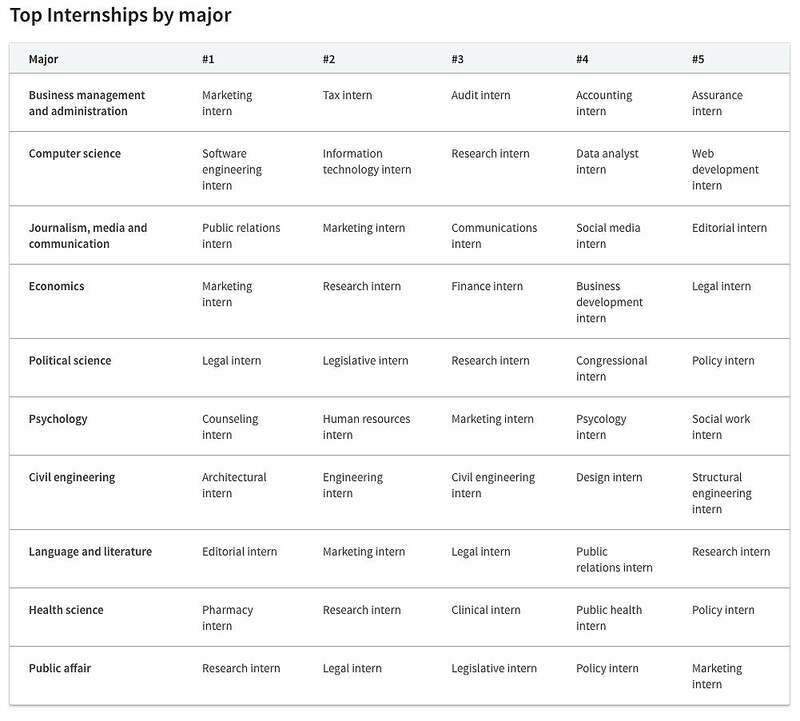 By examining the profiles of millions of university students, LinkedIn has collected new data which reveals the best time to apply for an internship, which industries offer the most full-time gigs and which types of internships best suit which college majors. You’ve got a little bit of time before you should get started on those applications, though not much. According to LinkedIn, March is the the best time to apply for an internship. 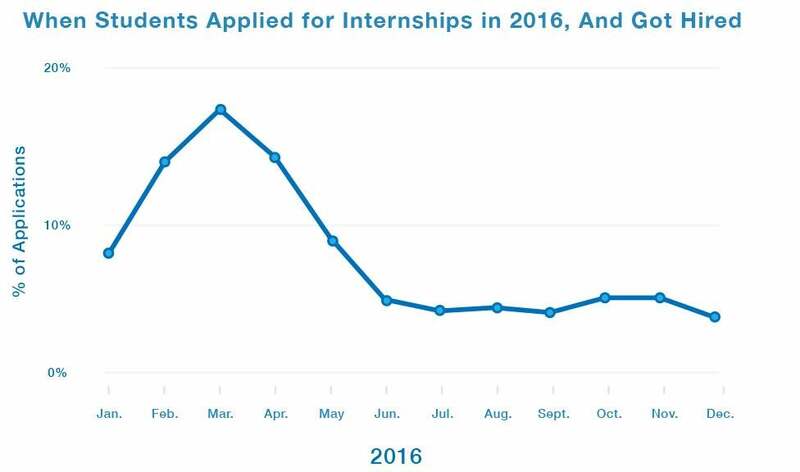 Last year, not only did the amount of internship applications spike during March, but the chance of landing an internship increased, too. Turns out, employers also seem to actively hire interns in March. Timing is not the only thing to keep in mind when applying for a summer gig -- where you choose to apply is also major factor. It’s no surprise that big cities offer the most internship opportunities, and New York leads the pack. (Hey, who wouldn’t want to spend a summer in the Big Apple?) After New York, Chicago and Los Angeles are also internship gold mines. Editorial, accounting, data, legal -- there’s an array of internships available in various industries. To boost your chances of landing one, it’s vital that you apply for those that correspond with your skills, studies and previous experience. If you’re unsure what type of position best fits your major, LinkedIn’s graph below can help.